Send your requests, dedications and greetings to DJ Papa Obet. 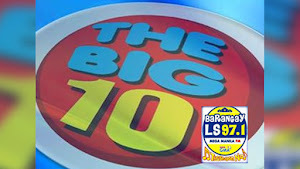 Like their page at https://www.facebook.com/barangayls971. Hello there, powerfully, really fine skies today. So I opened up my smartphone today and I kept getting Tweets about Alden Richards. And I seem to be bothered, but at the same time not really shocked. Let me know in the, gotta get this, comments below. "Barangay LS"
Making its way in the list is Justin Bieber - What Do You Mean . And then there is Kulas Basilonia - BaeYaya .